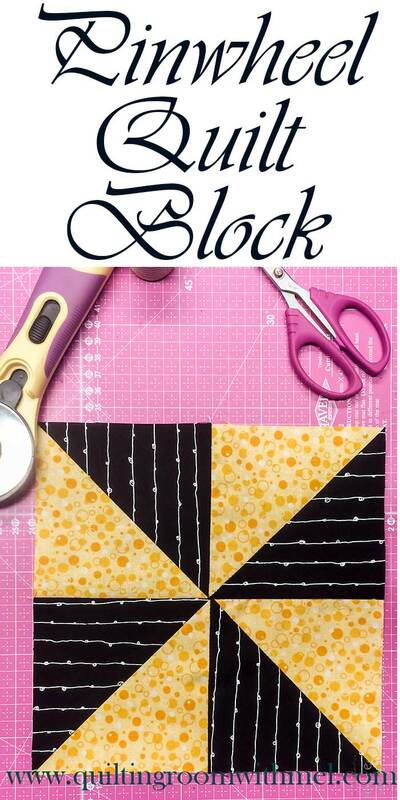 One of the things that I get asked to do the most is teach how to make basic quilt blocks like the half square block. These blocks are the building blocks of many different quilt blocks and once you have mastered the basic block you can start changing it up to make it your own. The half square triangle blocks we make today are going to be used in a pinwheel quilt block. With this tutorial, you are getting a two for one. Like most traditional quilt blocks there are several variations on the pinwheel quilt block but today we are going to focus on the traditional block. We'll get to those variations down the road as we learn how to make more of the building blocks. In the past, I've shown how to make blocks but we just made the block and never really did anything with the blocks. You can see how I turned the block into a great pillow in the companion post. The individual pinwheel quilt block will finish at 8 1/2" and 8" in a project. I have realized recently that most people enjoy shorter videos than longer ones. I get that no one has the time to sit and watch a 20-minute video on making a quilt block. So because of that realization, I'm now moving away from those long videos and on to shorter videos that get to the point quick. These shorter videos will be found here on the blog, YouTube, and Facebook. That's it! 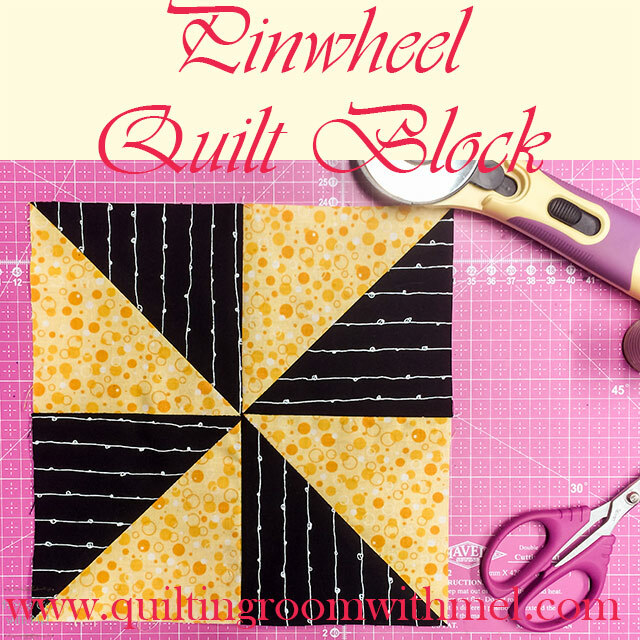 Pinwheel blocks are super easy and if you click over to the pillow project you'll get an idea of what happens when you put multiple blocks together. This is the basic method for making half square triangles. I will show you all a few different ways to make half-square triangles in the future but for now, we are sticking with the easiest way. Don't forget to subscribe to the quilting and sewing newsletter to get your free quilt pattern and great tips emailed to you. This is exactly what I was looking for! Great ideas, nice instructions and perfect for my very basic quilting skills. Thanks for compiling your ideas and sharing!